Costs – Boston, Massachusetts urges its residents to care for the trees in the areas as they work to preserve the population’s daily lives in incremental but important ways. Learn about the costs that go into their care to be prepared ahead of time for their maintenance. FAQs – For Boston residents interested in planting a tree, we have information on the trees that thrive in the area, ones that don’t, fruit trees to consider planting, the plant hardiness map for the state, and more information you might want to know before going to the nursery. Services – See who in the area knows the most about tree care and can give you all the answers to your questions about tree care and maintenance. How Much Do Tree Services Cost in Boston? Boston, Massachusetts takes great care in the preservation of its trees as they work to enhance the daily lives of residents of the city. Learn more about what the costs are to care for these lifesavers in the area, so you can be prepared for when they need maintenance. The price for tree removal vary in Boston depending on the type of tree and complexity of the job. The average cost for these tree services is $832. The price can vary between $699 and $965 depending on the type of tree and complexity of the job. If the tree is near or touching a power line, you can expect the cost to be a bit higher. Due to the danger of electricity, tree removers must use specialized equipment. Each branch must be carefully roped and guided to the ground in what is a time-consuming process. The cost of stump grinding is dependent on the type of stump. On average, the cost for stump grinding ranges from $82.55 to $139.75 per tree. Keep in mind that it’s always best to have the stump removed along with the tree. This will ensure that there is no regrowth. Stump removal will cost between $600 and $700 in the Boston area and take up to seven hours for the complete uprooting of the stump from the yard. When it comes to tree pruning, trimming and cutting, height, the amount of foliage and branch patterns all play a role in price. Often, taller trees and trees with intricate branch patterns require the use of specialized equipment. The average price Boston tree owners pay is around $390. There are also some species that produce a lot of foliage and require more time to cut and prune. Tree contractors use several other factors to determine the price for pruning, trimming and cutting, which can vary the price between $330 and $450. Travel time, set-up costs, types of equipment needed, labor costs and the debris removal process are all factored into the cost. Launched in 2007, the Grow Boston Greener program took an inventory that revealed the city’s tree canopy cover was 29 percent. New goals have been set to increase the urban tree canopy to 35 percent by 2020. As a result, Boston will be a cooler, cleaner and healthier city. When it comes to trees, the laws in Boston are fairly strict. If a person destroys or injures a tree that is not their own, punishment can result in a $500 fine or six months in prison. While you may trim the branches of a neighbor’s trees that extend to your property line, you may not kill or injure the tree. There is also a state statute that prohibits the removing, trimming or cutting of any trees within a public way or boundary. Trees are not permitted to be planted near power lines. Not only can a fallen tree on a power line cut off electricity to thousands of people, trees near power lines are dangerous due to the potential of electrocution. If a tree encumbers a power line, the city will automatically remove it. If the tree needs to be removed, the best time is in the fall when the leaves have fallen off. The American elm (Ulmus americana) has been the office state tree of Massachusetts since 1941. It was chosen to commemorate George Washington’s command of the Continental Army. 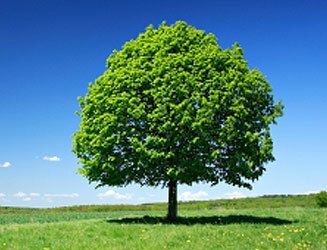 The American elm is a large tree and can reach a height of 120 feet. Its dark green and yellow leaves add a dramatic effect to the landscape of Boston. 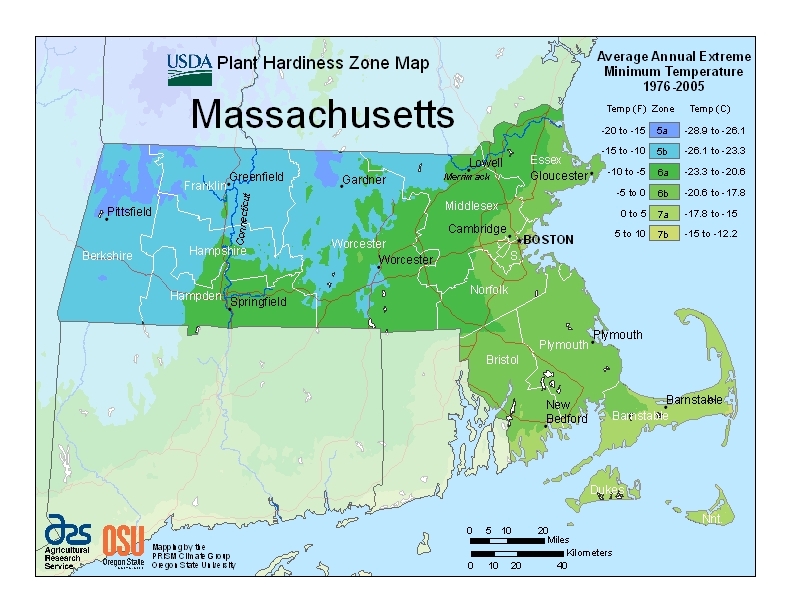 The climate and soil in Boston are favorable to a wide variety of trees, and common trees include magnolias (grandiflora), lindens (tilia vulgaris), locusts (robinia pseudoacacia) and gingkos (ginkgo biloba). Magnolia trees can grow from 30 to over 100 feet, and some of the tallest in Boston average 80 feet. These trees are easy to grow and are relatively pest-free. With lush petal cups and a fragrant sweet aroma, magnolia trees are ideal for both front and backyards. Linden trees are an excellent low-maintenance variety as they have few pest and disease problems, easily adapt to any soil type and grow in a uniform shape. Like magnolia trees, they have an alluring aroma and feature showy white and yellow flowers. A site that has either full sun or partial shade is ideal, and the linden tree does best in well-drained soil. Difficult trees to maintain include the maple and birch trees. These trees types, while beautiful and good for shade during the summer days in Boston, have high susceptibility to insects and could require a lot of treatment or removal because of death. It’s better to stick with trees that are native to the climate and have better strength against insects than two species who are non-native. Pear, apple, peach and cherry fruit trees also do well in Boston’s climate. You can find varieties for small dwarf fruits trees that grow 20 feet tall or grow a fruit tree in a container. The empress peach fruit tree can be cultivated in a container and is one of the smallest fruit trees at just 4 feet tall. The prime location for all fruit trees is in full sun on the north side of a slope where drainage is optimal. Dutch elm disease is common in Boston. Sometimes, trees can be successfully treated with insecticides and fungicides. Recently, one of the trees in the Boston Common had to remove due to continual stress from the Dutch elm disease. Sooty mold, fire blight, dogwood anthracnose, black knot and rhododendron leaf spot are also common tree and plant diseases in Boston. If your plants and trees are exhibiting health issues, the right diagnosis and proper treatment are key. Contact a professional tree service in the area to ensure your tree’s life.